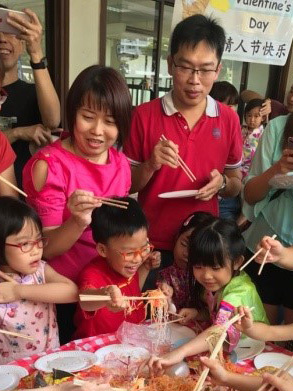 With the exuberant mix of vibrant colours, sounds and tastes as well as age-old traditions, ELFA preschool @ Serangoon celebrated Chinese New Year on 15 February 2018, Thursday. Children together with their parents enjoyed a fun-filled day with excited chatter and laughter filling up the air as they engaged actively in games and activities prepared for them. They learned more about this festive season through exciting stories prepared by the teachers. 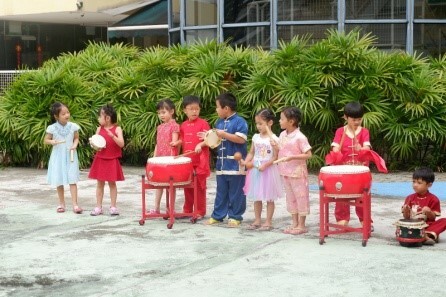 Chinese New Year music filled the air as the children danced and sang for their parents, who showed tremendous support by clapping their hands and swaying their bodies as the children were performing. 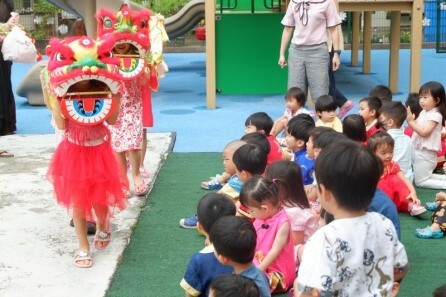 Parents and children actively participated in various games such as ‘Pass the Parcel’ and ‘Shake that Ang Bao’. Parents were all smiles as they engaged in most of the activities. This year, the children with their parents bonded by creating their own ‘8 Treasures Box’ filling it with different items and healthy snacks. This traditional Chinese New Year creation comprises 8 compartments to symbolise good fortune. 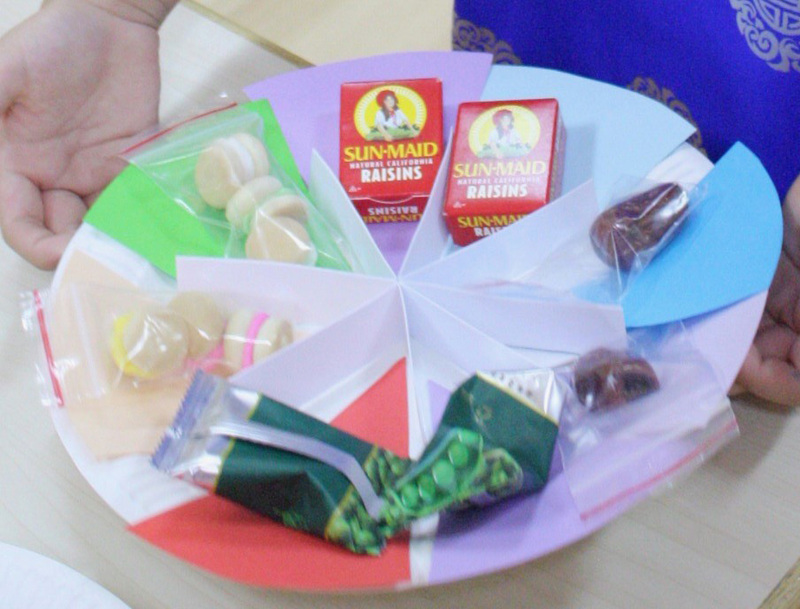 Each compartment is usually filled with auspicious goodies of significance to the festive celebration, such as preserved nuts, fruit, cookies, chocolates and candies to represent abundance of wealth and a joyful new year. Father and child work together to create their 8 treasure box. Parents and children enjoyed a noisy and joyous prosperity toss (Lo Hei), wishing everyone a successful and prosperous year of the dog. 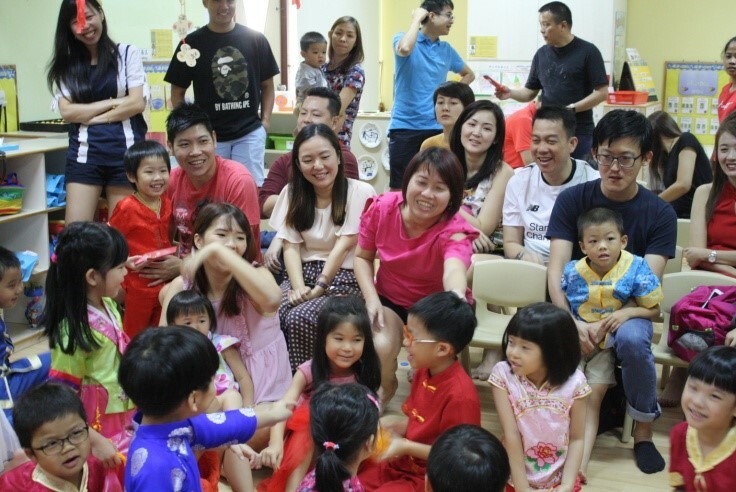 On 2 March 2018, Friday, the 15th day of the first Lunar month, children at ELFA Preschool @ Serangoon celebrated Yuan Xiao Jie to mark the end of the New Year’s celebrations. Children from K2 performed a lion dance, accompanied by percussion instruments, to brighten up the occasion and bring good cheers and good luck to everyone at the entre. 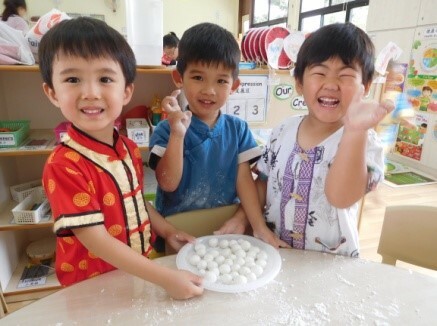 Children were engaged with determination to make Tang Yuan, the traditional Chinese rice dumplings in sweet soup. It was truly a memorable way to celebrate the Chinese New Year festivities on its last day, which is also a day for family reunion and harmony. The children’s lion dance and hand-made dumplings, helped marked the end of the New Year’s celebration in ushering the year ahead.